A Reddit user has managed to get his or her hands on the upcoming Galaxy Note 9 and has detailed some of the features of the smartphone that mostly corroborates to what we've known so far. What is interesting is that Samsung is looking to project the Note 9 as a capable gaming device as well and will have support for AAA Vulkan titles. Design — The OP claims to have used a dark blue color device with the S Pen having a blue 'cap' and a banana yellow body. 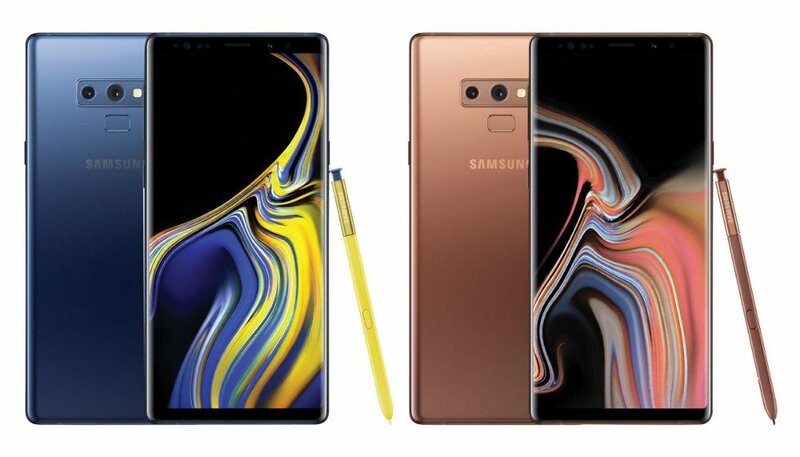 We, however, do know that Samsung is planning to release the Note 9 in new color options. Display — The display is the same WQHD+ panel as the Galaxy S9 but is 10% more brighter. Storage — Base storage will be 128 GB with 2 more options. Possible onboard storage up to 512 GB as was leaked earlier. SoC — No specific information provided but it is expected to be similar to the Galaxy S9 although, we've also been hearing about possibilities of an Exynos 9820. RAM — 6 GB in the base variant with option for 8 GB. Vulkan API Support — The Note 9 will feature native support for the Vulkan graphics API. The rep had apparently hinted about exclusive games for the Note 9 including a 'high profile Vulkan game'. We just heard that Fortnite for Android will launch as a Note 9 exclusive. The Galaxy Note 9 joins the list of few handsets that have support for the Vulkan API. Camera — Similar to the S9 but will have a horizontal placement to accommodate a larger battery. A new addition is that both rear cameras have OIS and AI features. Battery — 4000 mAh battery as expected. The rep claimed usage of up to 4-5 days, which honestly feels a bit aggrandized. S Pen — S Pen is now Bluetooth controlled. Pen button can be used for taking a photo, skipping music, or moving onto the next slide in a presentation. Another user pointed out that the phone can also charge the pen when inserted. DeX — The Note 9 comes with built-in DeX support, which means the phone can be directly connected to a display using a USB-C to HDMI cable without the need for a dock. The in-built DeX can support up to 5 windows at once. A DeX dock can enable control of up to 20 windows at once. So, that was a round up of all early hands on posted by u/Autopsy15. While we are glad that most leaks about the Note 9 so far are in agreement, do remember that plans could change before the official launch. Do you see yourself buying the Note 9 when it launches? Let us know in the comments below.